A senior police officer who was in charge during the final hours of the Lindt Cafe siege says he accepts blame for the deaths of hostages Tori Johnson and Katrina Dawson, as well as gunman Man Haron Monis. The Police Forward Commander, whose name has been suppressed, made the stunning admission during his third day in the witness stand at the Sydney siege inquest. “Three people lost their lives because of me, my decision, I can’t change that,” he told the inquest. 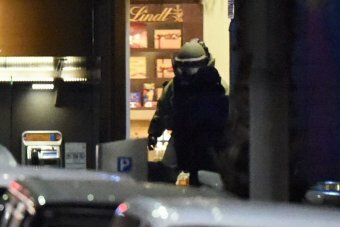 The inquest had previously heard police believed Monis had a bomb in his backpack and a detonator in his hand, and they held that belief right up until a bomb squad entered the cafe after the siege. The commander admitted he did not send police into the cafe before a hostage was killed because the presence of the bomb made it too dangerous. It was only when Monis shot cafe manager Mr Johnson at point blank range at 2:13am that the commander said he had no choice but to order his officers to force entry. “It does weigh heavily on me,” he told the inquest. “It was a decision I didn’t take lightly. “I couldn’t think what was going through their minds as they moved through to door. State coroner Michael Barnes asked the commander whether he had to balance the safety of the hostages against the risks to tactical police. The commander replied: “I accept that your honour”. But the commander added that if he was presented with the same information in a similar situation today, he would make the same decisions he made during the December 2014 siege. The commander was the officer who made the call for tactical police to storm the cafe, just moments after a police sniper called “hostage down, hostage down” when Mr Johnson was killed. Posted on July 25, 2016, in ConspiracyOz Posts. Bookmark the permalink. Leave a comment.